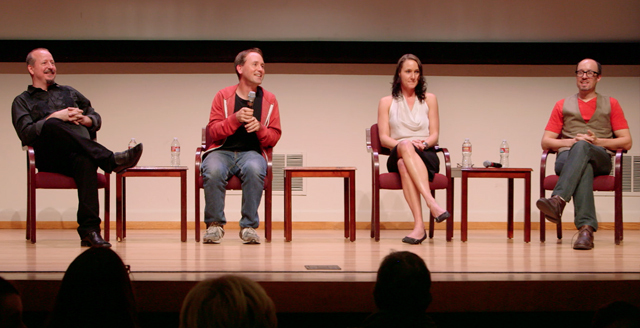 David Gaz, James Fowler, Sara Glaser and Brandon Schott were on hand at Stanford Univerity’s CCARE, The Center for Center for Compassion and Altruism Research and Education at the Stanford University School of Medicine, for a Screening of Kindness Is Contagious and a discussion about kindness on Thursday December 4th. It was a packed room and there was a heated discussion about the importance of kindness in todays world when confronted with the massive social and economic inequality we face among both industrial and developing nations. Past guests have included Sri Sri Ravi Shankar, Amma (Mata Amritanandamayi) and none other than the Dalai Lama.